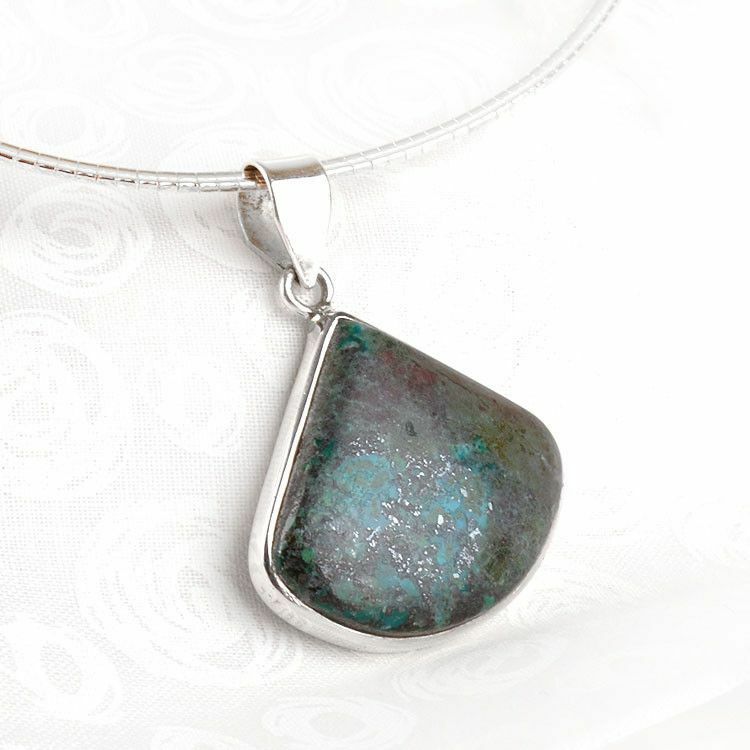 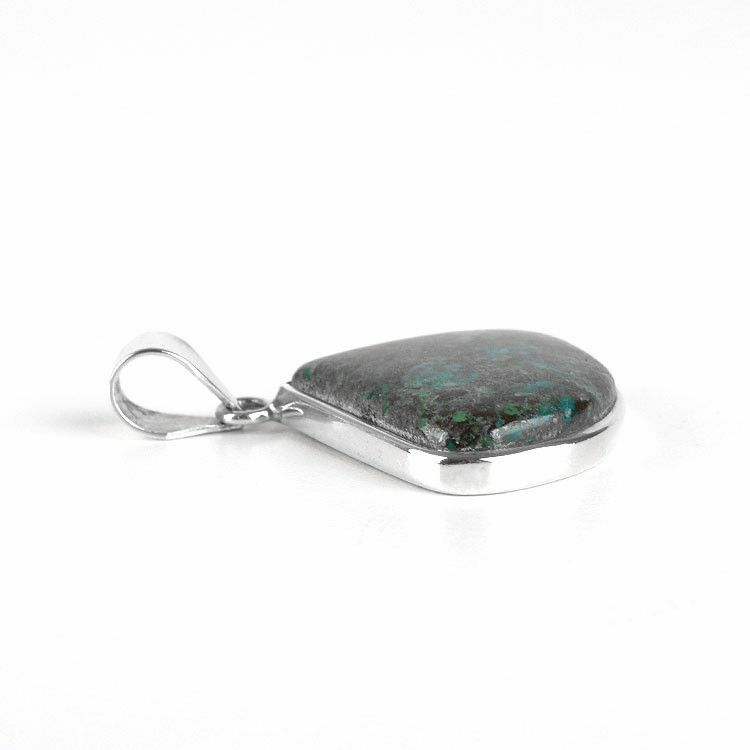 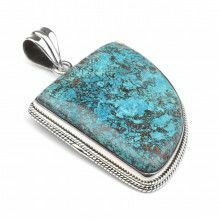 This dark brown-green chrysocolla gemstone pendant offers a very intriguing yet modern fashion look. 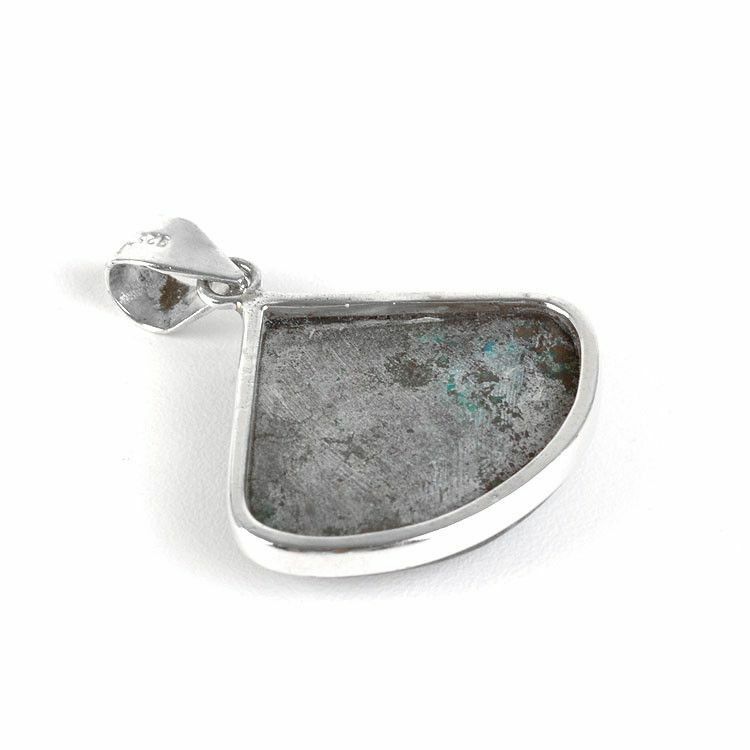 This uniquely shaped stone is set in a framework of sterling .925 silver. 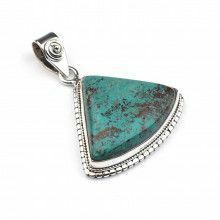 Looks great with a thick silver chain or a simple brown pendant cord. 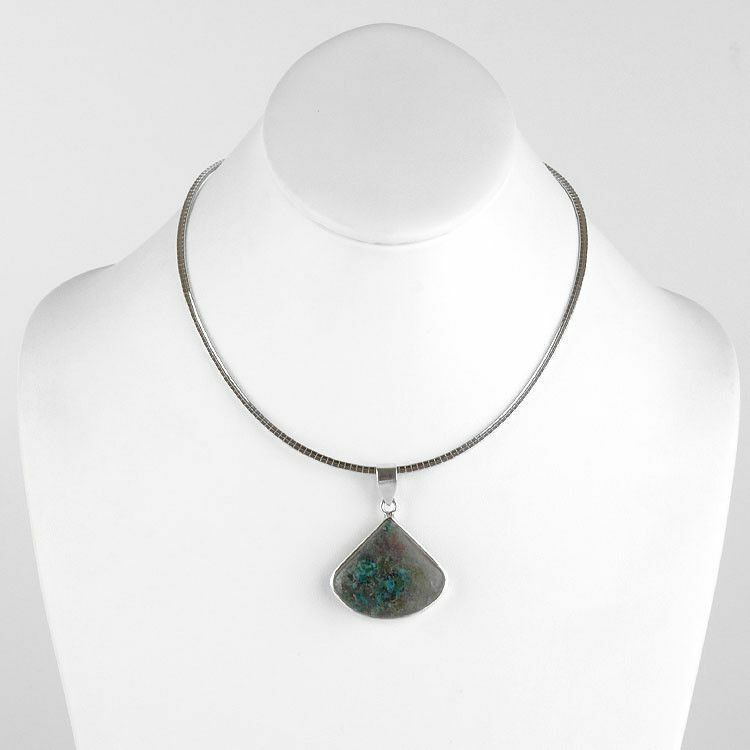 Approximately 2 3/4" long (including bail) and about 1 1/4" wide.